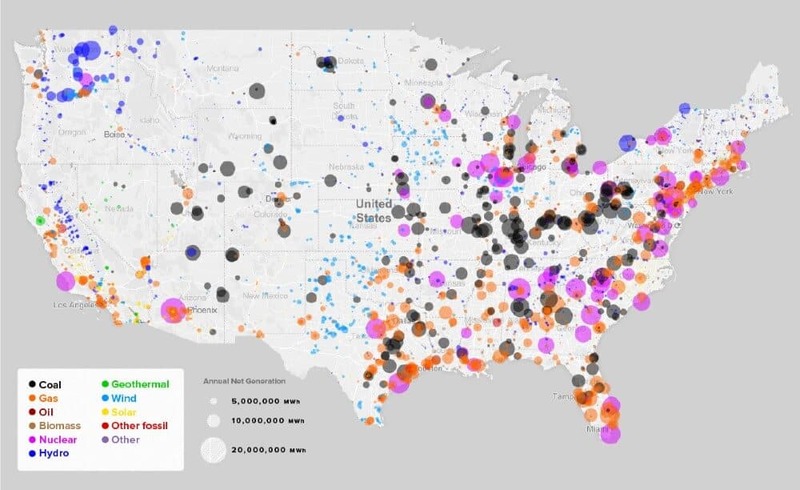 The map above shows a plan to phase out coal power stations across the EU from 2017 to 2031. As of July 2016, there were still 300 coal power plants operating in the EU. 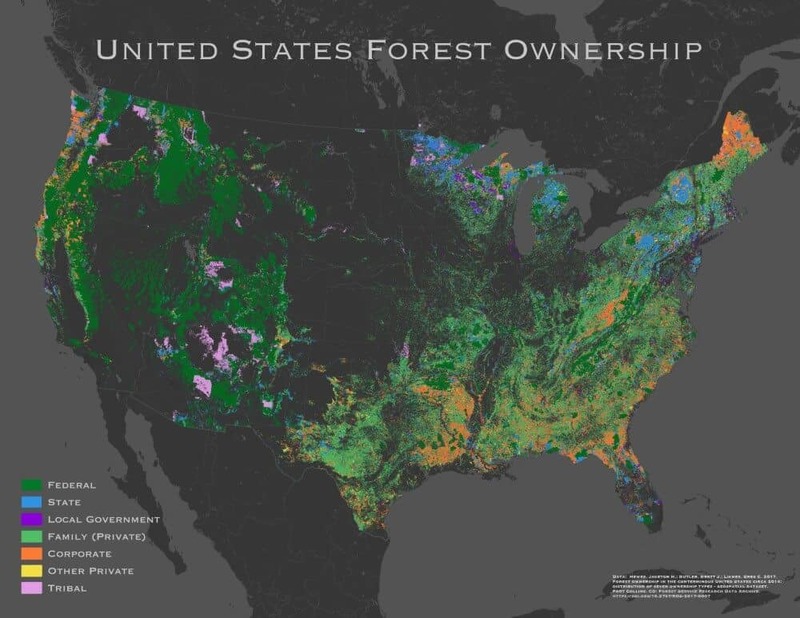 The map above shows who owns forests in the United States, from governments (federal, state,bal local and tribal) to companies (corporate) to individuals (private). The map above shows where you can find the Netherlands famous historic windmills compared to where you can find today’s modern wind turbines. 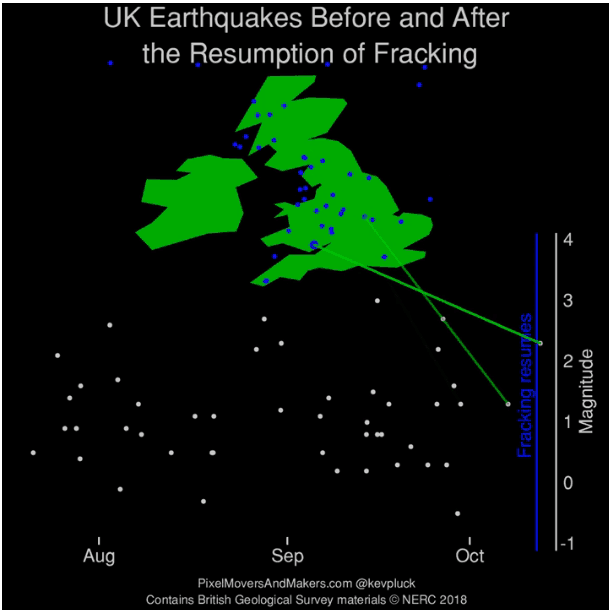 The animation was created by reddit user kevpluck and shows the number and intensity of earthquakes before and after the resumption of fracking in the UK on October 13th, 2018. It was then halted again on October 26th, 2018. The data comes from the British Geological Survey NERC and was created using processing.org.